This episode really has one moment that I’ve been waiting for. I’m glad they have hurried along in order to get to this part of 3rei. 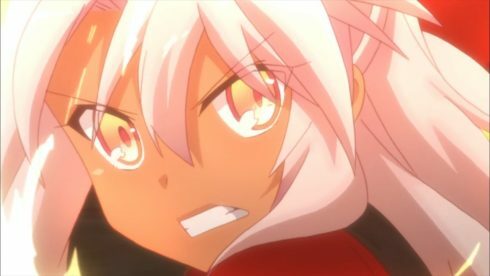 I truly loved seeing both Kuro’s determination to save Miyu and eventually Illya’s stance to not be boxed in. Illya absolutely refusing to pick between two terrible choices was awesome. It was something I didn’t really see coming. Angelica had really forced the issue of choosing between Miyu and the world. The characters had to pick between two extremes and there was no middle ground. Illya simply broke out of the box and refused to choose between them, she picks both! It isn’t about saving the world or saving Miyu. Why should Illya have to pick one? The only choice that she could live with is saving both of them. It just makes sense to me that Illya would both be lost for most of the episode, but find her answer. In a sense both Sapphire and Kuro are key reasons that she was able to find it. Sapphire encouraged her to face forward and that her answer would be there. 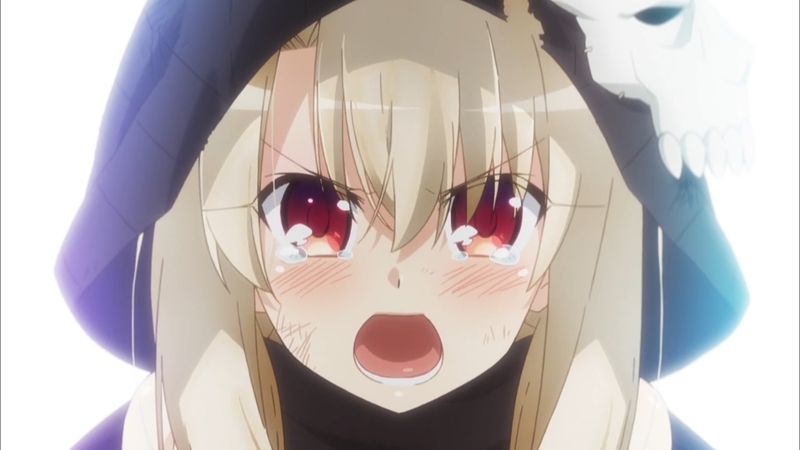 Kuro also made a strong declaration that forced Illya to really think. Having someone make such a bold decision even if it didn’t feel like the right choice did help. Illya is utterly right as well. They are talking about the Holy Grail and powers to grant wishes. So why the heck are they limiting themselves like that? The scale of what they are trying to accomplish is massive, but giving up on the best case scenario leaves you empty. Certainly I can understand Illya’s feelings. She can understand the idea of prioritizing your precious people above all else. 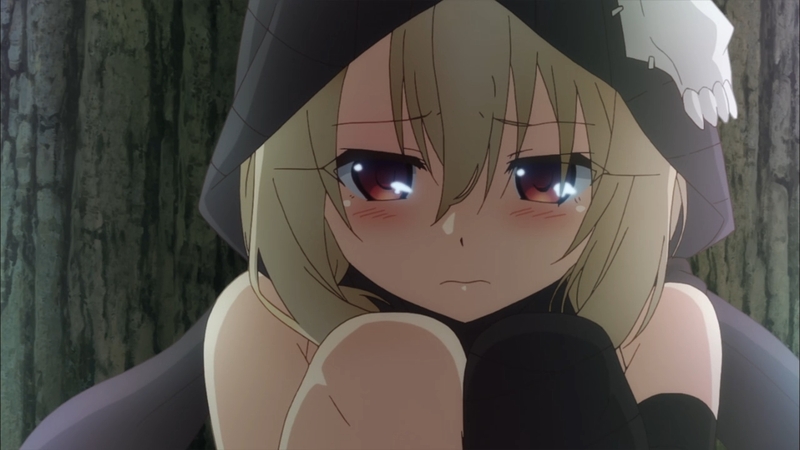 But Illya can also understand the next step where everyone has precious people. Sacrificing a world full of precious people….that certainly doesn’t sound like the right choice. So she had to think of what is the best choice to make. Illya does consider Miyu to be unbelievably precious. She doesn’t feel any less strongly about that. Illya is someone who can’t ignore either side of the equation which left her frozen up. And I am glad in the end she chose to aim for the extreme. People might say that she’s asking for too much, but I’m fine with it. In a sense the super idealistic choice actually works really well in this scenario. This arc has been more brutal and negative than any of the previous ones. This stance by Illya is like a light shining into the darkness. 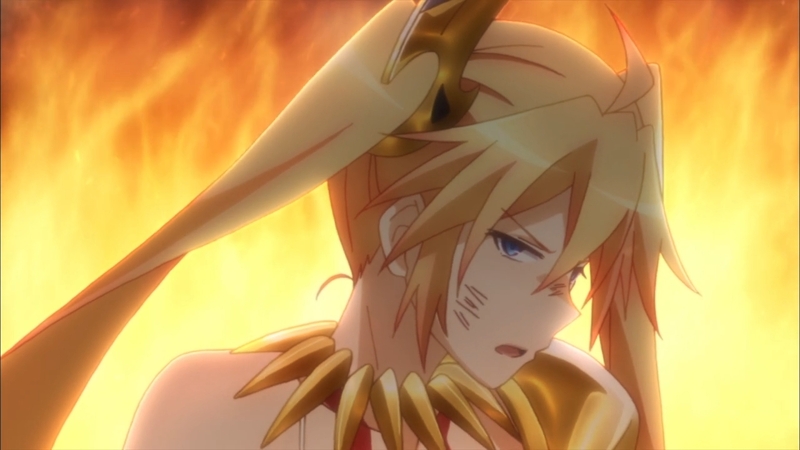 The show of course took that very literally with showing Miyu being saved from the chains of fate and the darkness. This is a mahou shoujo series at the end of the day. Trying to save your friend and the world seems like a proper choice to me. She may not have a clue how to actually make that happen, but it’s important to have the right mindset. Not that I didn’t like Kuro’s stance. Honestly, I loved seeing her instantly choose Miyu without hesitation. It just works on so many levels for me. It utterly makes sense for Kuro to act like that. She has always been the one to act based on her emotions and rarely hesitating when she is given a choice. Kuro is someone who is only here because of the individual. 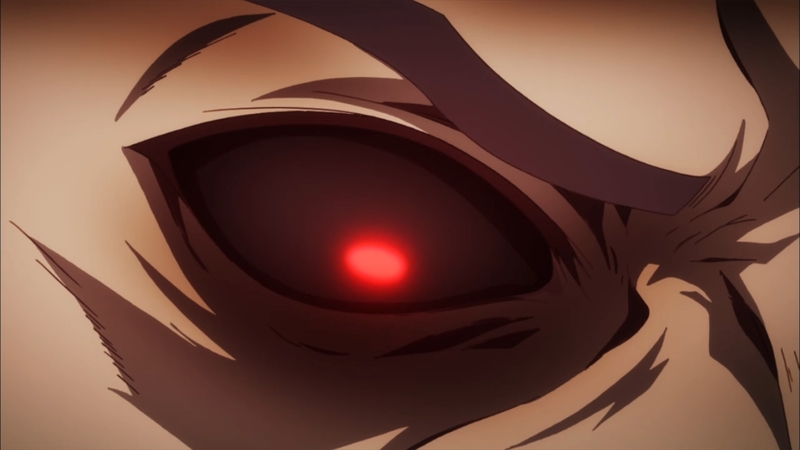 If Kiritsugu and Irisviel hadn’t made their choice then Kuro would have been left to the fate of Illya in every other Fate/Stay Night universe. Illya utterly saved Kuro as well from disappearing in 2wei. Encouraging her to live and to wish upon her own survival was the turning point. The efforts of Miyu and Illya are why she’s still around now. Even being welcomed into Einzbern home gave her a precious family and chance to live a life. I can’t see Kuro ever simply choosing the world over the individual. The choice is a great one because she has the Archer card. The card of a man who simply wanted to be a hero of justice. And here Kuro is putting everything on the line for the sake of a friend. And she put it on the line in the best possible way. The fight against Angelica, Rin, and Luvia was truly fun to watch. Kuro of course won’t kill her friends in order to save her friends. That just leaves her more vulnerable since for a good while she doesn’t know what is going on with them or how to get them back to normal. The biggest problems for her in that fight came from a lack of information. She didn’t know what Angelica could do and thus was surprised by that ability to move attacks. Miyu’s side of this episode added another element to it. There was a lot going on for her in this one. She got to find out that Illya saved herself, but was in a life or death battle. It was nearly impossible to get through to Erica either. That kind of mindset is just horrifying. Erica doesn’t see any issue with a person dying. These people apparently have the ability to resurrect the dead as dolls. Somehow Erica doesn’t see any value in the person that is lost when they die, just so long as the shell can be put back together with a new personality then it is fine. Not the easiest thing for Miyu to deal with when Darius showed up and gave that kind of psychotic spanking to Erica. He is beyond pissed for simply the reason that Erica risks messing up his script. This guy is utterly obsessed with events playing out as he has intended them to. The best and worst thing for Miyu was that she was given a front row seat to the struggle below. She had to watch as her friends were getting torn up in their attempt to save her. On top of that she was being hit hard with the reality of the situation. Her friends had to choose between her and the world…either one would hurt Miyu. Being given up on would hurt, but so would seeing her friends willing to give up on a world for her sake. 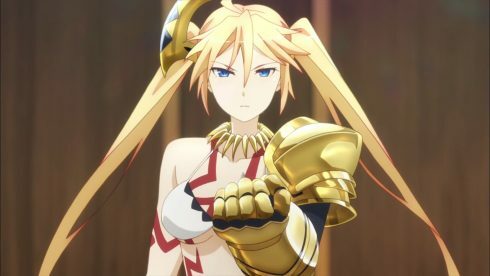 As is normal for this show, the last few episodes have a new ED to look at. Honestly, I think it is better than the last one so I’m fine with that. 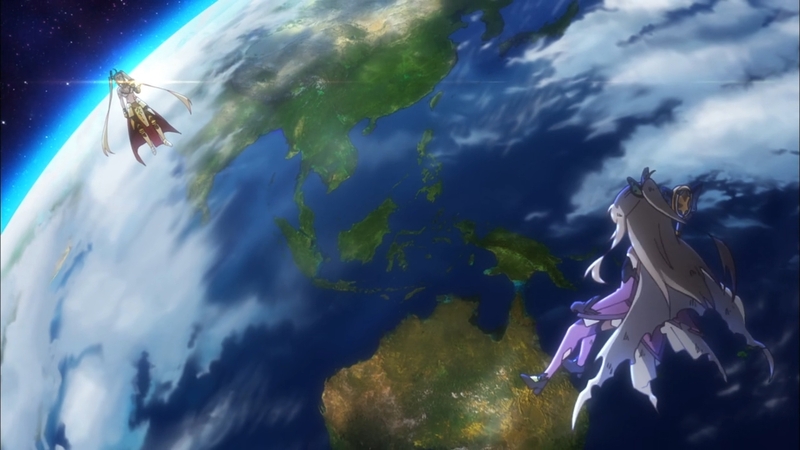 Also it is a nice thing to change the ED when the story itself has changed. This episode broke Miyu free from the darkness and gave her hope again. 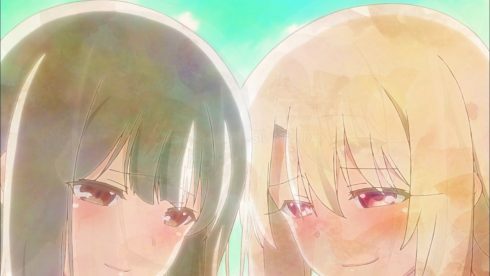 An ED that focused heavily on Illya and Miyu is a good choice as well is a song that sounds much more hopeful. A sign of the hope that they might just be able to get through this and reach happiness again. Just a really good song and has some beautiful visuals. 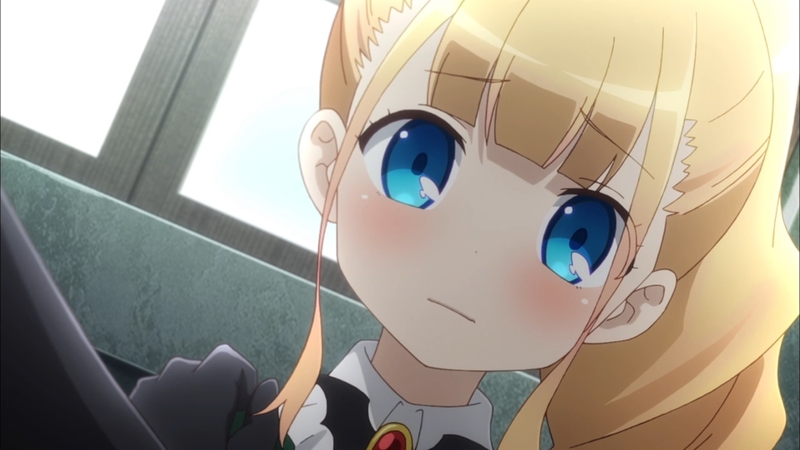 Entirely focused on Illya and Miyu. Certainly can imagine they would be this happy to meet again face to face and stand together. 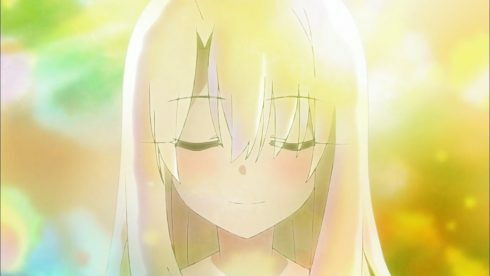 I’m glad Illya shone a bit of light and hope into the situation. They don’t have any answers, they don’t have a lot of firepower with her using Assassin, and they don’t have a clear method to win. But none of that really matters. 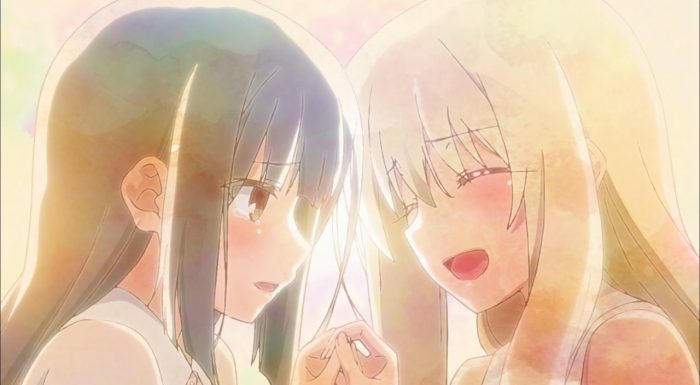 Illya has found her resolve, Miyu has found hope to cling to, and Kuro is on board. With the three of them on the same page (even if not in the same place) they have a chance to turn the tables. 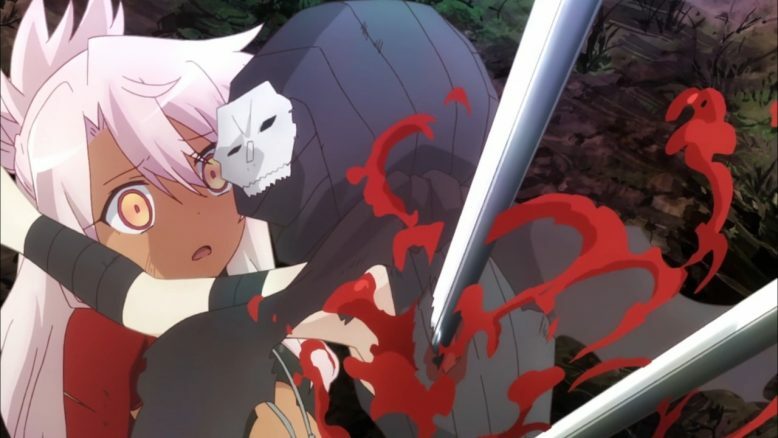 I also want to give Illya props for making use of Assassin’s ability to duplicate itself. It allowed her to take a shocking blow to protect Kuro and then get her to safety. Not that I think Illya would hesitate to risk her life to protect Kuro, but this was just a situation where she didn’t have to. Now I’m really looking forward to next week and seeing how this fight unfolds.